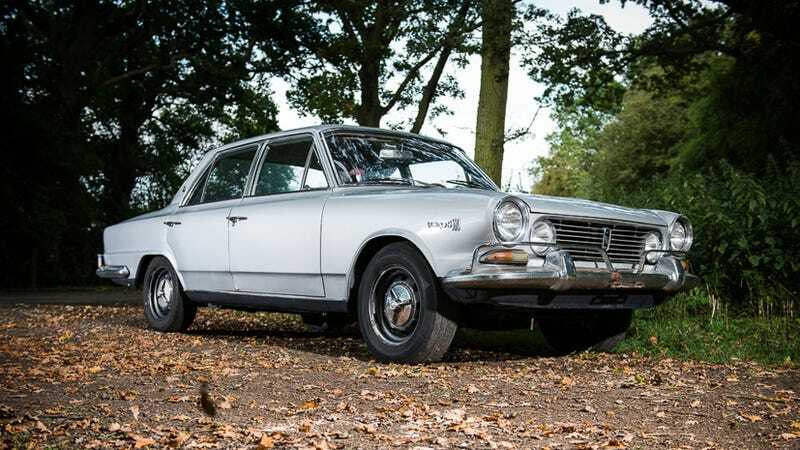 This silver IKA Torino 380S sedan belonged to racing legend Juan Manuel Fangio and has been untouched by the family since his death in 1995. Now, Silverstone Auctions will put it under the hammer at the NEC Classic Motorshow without reserve. That's right, you should give it a go! If you aren't familiar with Industrias Kaiser Argentina or their Torinos, I would recommend reading your Crazy Euro Car Boy's fantastic peace about one taking on the Nurburgring in 1969. Here's the short version: IKA Torinos were Rambler Americans rebodied by Pininfarina, powered by 3.0- or 3.8-liter inline-six Jeep Tornado engines that were originally developed by Kaiser Motors in 1963 for the new Jeep Gladiator pickups and the Wagoneer. The 1970 IKA Torino 380S was was driven by himself in his life away from the race track. Sometimes even to it. Included in the lot are many documents related to Fangio’s ownership of the car, including insurance documents, an Argentinian vehicle green card, handbook, service card and Fangio’s international license. Offered in highly original condition at the NEC on 15th and 16th November, the car will be offered with no reserve, meaning it will probably won't brake the bank like how Fangio's previous ride did. Sounds like a good investment.